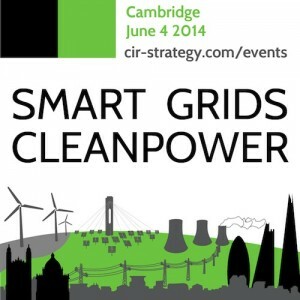 A “cracking” day was had by over 100 senior delegates at the 5th Smart Grids & Cleanpower Conference Expo 2013 in Cambridge last week. Over 33% of the delegates took a survey & all spoke highly of the event. The conference was sponsored by local giant ARM Ltd.
Gold Sponsors Anglian Water and Hitachi Europe gave talks. In total there were nearly 40 speakers and moderators across the two streams. There were 7 panel sessions and 3 hours of networking and exhibition. Pilgrim Beart, Founder Director of AlertMe Ltd, was voted the best speaker by over a third of delegates, giving a talk on Simplicity for the smart home, with Keith Clarke of ARM Ltd in second place with their vision of global connected intelligence. Delegates have already been provided with a 50pp document PDF of all aspects of the day, edited by Justin Hayward PhD MBA and Michael McCreary CEng of CIR Strategy, from notes by Maria Gradillas of Imperial College. Delegates also have an image gallery of the day, speaker biographies & synopses, slides of all speakers, and a summary of the conference talks and panels (Chatham House). Next year’s SGCP14 conference is already being built – see you on 4 June 2014. 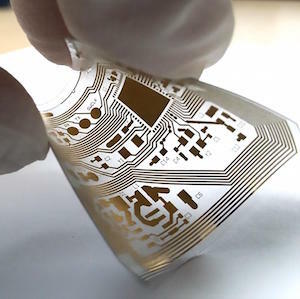 Upcoming conferences include the 5 November Smart Homes & Cleanpower Conference taking in the iWATER, iHEAT, and SHIFT sessions, co-located with the HVM Graphene Conference. Not a day to be missed! SGCP 2013 is an exciting one-day conference expo in two streams for corporates, investors and entrepreneurs building businesses in the connected intelligence for grids and power sector. The conference is in its 5th year. We want to inform, inspire and connect the people and companies building & securing the smart grid and enabling safer cleaner lower-cost power generation. The double-stream conference brings together brands implementing connected intelligence and the disruptive tech companies supplying them to discuss smart grids “The Grid of Things” and transition energy security. The Lead Sponsor is ARM. 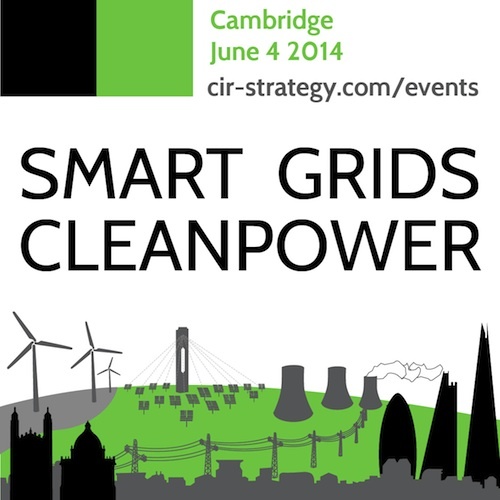 Speakers include ARM, Energy Saving Trust, Cyan Technology, BPAE, Anglian Water, National Grid, National Nuclear Lab, National Physical Lab, UK Power Networks, S&C tbc, Trilliant, ETI, DECC, Ofgem, Intellisense, Moixa Energy and AlertMe (see web for longer list andagenda). Some who will be there: Cambridge University, Imperial College, Marshall Group, Anglian Water, Hitachi Europe Future Cities, Energy Saving Trust, NPL, TTP Ventures, Dawe Media, Fault Current Ltd, Maosco Ltd, Multos, Isentropic Ltd, AlertMe Ltd, Polysolar Ltd, Cambridge Carbon Capture Ltd, Green Tide Ltd, JKPM Ltd, Energence Ltd, Metric Digital, EDW Tech Ltd, Cyan Technology Ltd, Shirlaws, Trillion Fund, UKTI East, Alconbury Enterprise, Autodesk, Trilliant, S & C Electric, BPVA, KISS Comms Ltd, Quench Power Ltd, Venner Shipley LLP, Cambridge Design Partnership Ltd, The Guardian Newspaper, UK Power Networks, BP plc,National Grid, Ofgem, Intellisense, Buro Happold, Durham University, Electralink, NNL, Ofgem, Sainsbury’s plc, DECC, ETI, Solar Century plc, Renesola, Emblem Ventures, UKERC, Oxford University, Moixa Energy, Adapt Commercial Ltd, Poyry, Mansion Partners, Xsilon Ltd, PassivSystems, Nanoforce Ltd, Gazprom, Qatar Developments, greenBRIDGE, New Laws Legal, EDF Energy, Clean Capital Advisors, Low Carbon KEEP Programme, CreativeZones, FusionIP, Sentec, Cambashi. Media Partners include Business Weekly, Cleantech Investor Magazine, Clean Capital Network, Connected Clusters, Cleantech Business News and Smart Grids Careers: a lot of publicity! Using probably the best & most comfortable venue in Cambridge, we offer many hours of pleasant, great networking with a lunch as well as structured and unstructured sessions and Q&A throughout the day. There is still some space for showing off what you do in the conference networking hours including lunch so please do get in touch. A key part of the programme is showcasing with innovation pitches, hosted this year by experienced investor Clennell Collingwood of TTP Ventures, the best of the innovators that are making the connected intelligence, grid technology & power generation deployment. Companies with the greatest market potential will meet customers, investors and press. If you have a successful or new business in grids and power, take an expo showcase space here (only 2 spots remain). You can find out more and register here (http://www.cir-strategy.com/events/register) for SGCP13 and/or HVM & iWATER November on the info webpage here. By calling 01223 303500 to book and telling us that you heard about this through Cleantech Investor Magazine, we will give you a 20% discount from the exec and investor rates.